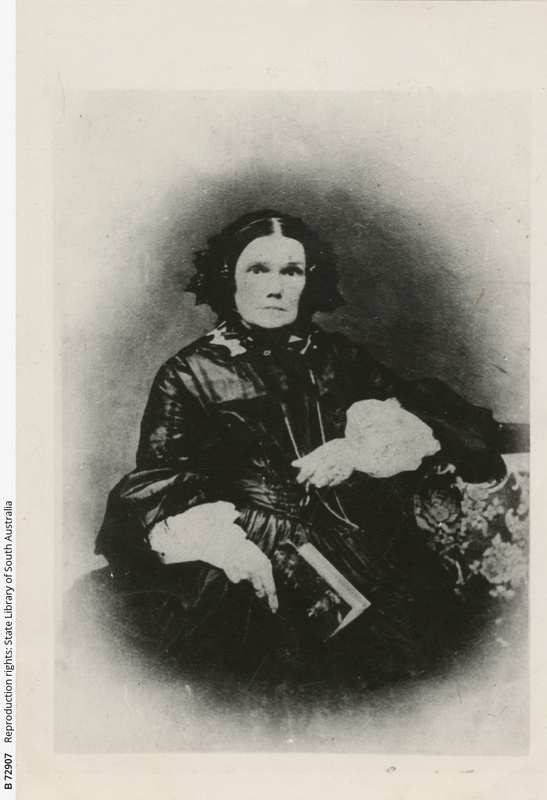 Photograph of Mrs Ann Dunn. She is wearing a bonnett with a cape or wrap over her dress, and holding a book. Fom handwriting on the back of the photo: " Mrs Ann Dunn. 1st wife of John Dunn Senior (the pioneer miller)."